We are excited to announce that Verge3D, the most effective and artist-friendly toolkit for creating web interactives, will soon be available to the users of Microsoft Paint, the default graphics editor on Windows. Until this moment, we have been offering only 3ds Max and Blender integrations to Verge3D. From now on, the huge user base of Windows operating system can all enjoy the access to the state-of-the-art WebGL technology. MS Paint artists can now create physically-based materials, complex environments, lights, animations, and so on. As usual, the content may be previewed right in the browser with the Sneak Preview feature, or exported to glTF 2.0 format. How is it even possible? In order to convert 2D raster graphics to full-blown 3D we leveraged a new ground-breaking AI technology which is used by other (than Soft8Soft) IT giants such NVIDIA and Google. This technology is known as a generative adversarial network (GAN). In short, generative adversarial network is a class of machine learning systems. Such a system consists of two neural networks which compete with each other making it a zero-sum game. This technique, also know as unsupervised learning, can generate good-looking and realistic imagery that is authentic to human observers. Sounds complicated? In reality it’s so simple that even kids can use it. Why don’t you look at this yourself? 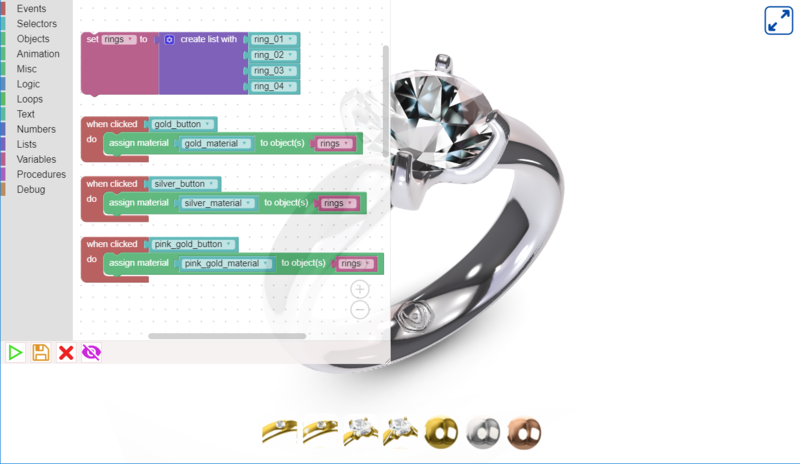 Needless to say, you may add interactivity with Puzzles and build a full-blown 3D web application whether it is a product configurator, e-learning program or an enterprise software component – everything without writing a single line of code! Finalized 3D web applications can be either self-hosted or deployed on the Verge3D Network, a cloud-based storage and CDN powered by Amazon servers. Verge3D is compatible with MS Paint shipped with Windows 7 or higher. The price for the commercial license starts from $290. Soft8Soft is the startup company behind Verge3D which was founded by Yuri and Alex Kovelenov brothers in 2017 to provide 3D solutions and services for the Web. Happy April’s Fool Day! Hope you liked the idea. Might make it like this some day. Happy April Fools! Hahaha that video was actually so funny LOL. Well done guys.